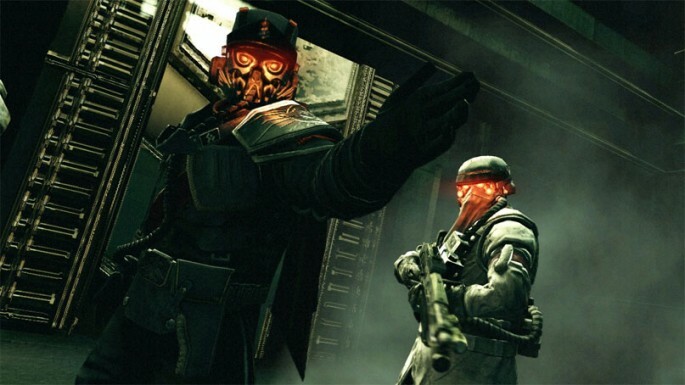 The new DLC coming to Killzone 2, the Steel and Titanium Map Pack also includes it’s own set of new trophies. All of the new trophies included are listed below. Revive 5 allies in Wasteland Bullet during one round. Repair 5 objects in Wasteland Bullet during one round. 5 allies spawn on your spawn grenade in Wasteland Bullet during one round. Kill 5 enemies while disguised in Wasteland Bullet during one round. Kill 5 enemies while cloaked in Wasteland Bullet during one round. Boost 5 times in Wasteland Bullet during one round. Revive 5 allies in Vekta Cruiser during one round. Repair 5 objects in Vekta Cruiser during one round. 5 allies spawn on your spawn grenade in Vekta Cruiser during one round. Kill 5 enemies while disguised in Vekta Cruiser during one round. Kill 5 enemies while cloaked in Vekta Cruiser during one round.